In addition to its unrivaled beauty, Big Sky sits on the doorstep to Yellowstone National Park—giving it one of the coolest next door neighbors in America. Exploring the park, however, is just the beginning of the fun to be found in Big Sky. To help you make the most of your trip, our Xplore Team expert, Hannah, has outlined a sample 3-day itinerary. Home to the “biggest” skiing in America, Big Sky has earned a reputation for its sheer size and abundance of terrain. In the summer, when the snow has melted, that terrain becomes a place for discovering nature like never before. Couple its proximity to Yellowstone with views you won’t believe and a famously gorgeous river, and Big Sky hits the sweet spot for nature-lovers of all kinds. On your first day, raft the Gallatin, which is said to be the most beautiful river in all of Montana and which was chosen as the setting for A River Runs Through It. There are many tours to choose from, like full day, half day, and even overnight trips. The Gallatin has rapids of all classes to accommodate rafters of any skill level. Look out onto the mountains from the dining room of The Cabin, which offers a selection of steak, seafood, and other delectable cuisine. A fully customizable tour through the park is truly a once-in-a-lifetime experience. You’ll visit whichever sites you choose, always with our knowledgeable area guide. What’s more, you’ll be in the comfort of our luxury Mercedes, and can enjoy a picnic lunch with your group. After such a big day, it’ll feel so great to relax at home while a personal chef prepares a gourmet meal right in your kitchen. The Xplore Team would be happy to arrange for a chef to work around your schedule. The tram is one of the area’s biggest attractions—and you’ll see why once you’re up there. 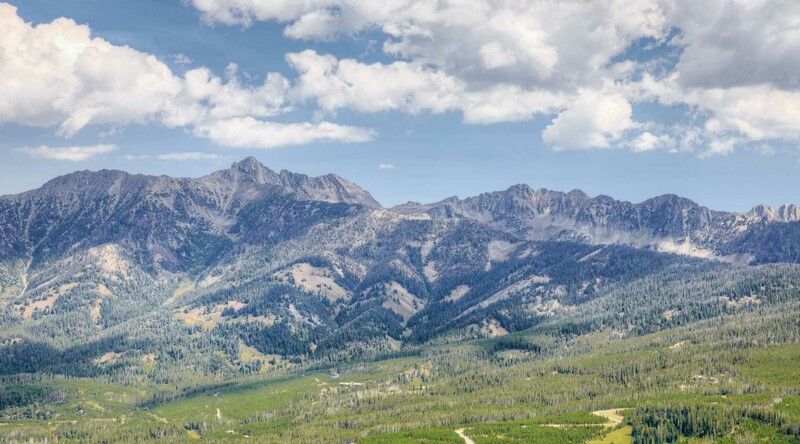 Overlooking three states, the panoramic views from the summit of Lone Peak are unreal. Gather your rods and return to the Gallatin, this time to hook a few brown or rainbow trout. The trout in the Gallatin are typically not very picky eaters, meaning that this is a great place for beginners as well as experts.